As time goes on, it seems the leak revealing Fortnite for Nintendo Switch is all but confirmed. We’ll know for certain in roughly 10 days when Nintendo gives its E3 2018 Direct, but until then, can we talk about how big of a win Fortnite on Switch would be for fans and Nintendo? The Nintendo Switch already has an impressive line up of games for new buyers. The Legend of Zelda: Breath of the Wild, Super Mario Odyssey, Minecraft, Splatoon 2, ARMS, Mario Kart 8 Deluxe, Donkey Kong Country: Tropical Freeze, Mario + Rabbids Kingdom Battle, Xenoblade Chronicles 2, DOOM, and an almost endless supply of indie darlings. No console in the history of ever has had a lineup this good, this early, but Fortnite takes this to another level and provides something unique. Fortnite is currently the most popular non-mobile game in the entire world, and its free to play Battle Royale is its most popular game mode. With it coming to Switch, every purchase of the system now comes with a free copy of the most popular shooter the world has ever seen, with the bonus feature of being able to take the game with you and play online anywhere, at any time. Fortnite’s cartoony, lighthearted style is a natural fit for the Switch. For starters, the game runs on Unreal Engine 4, and was developed by Epic Games, the company that created Unreal Engine. A company Nintendo worked closely with to make sure the engine ran well on their system. 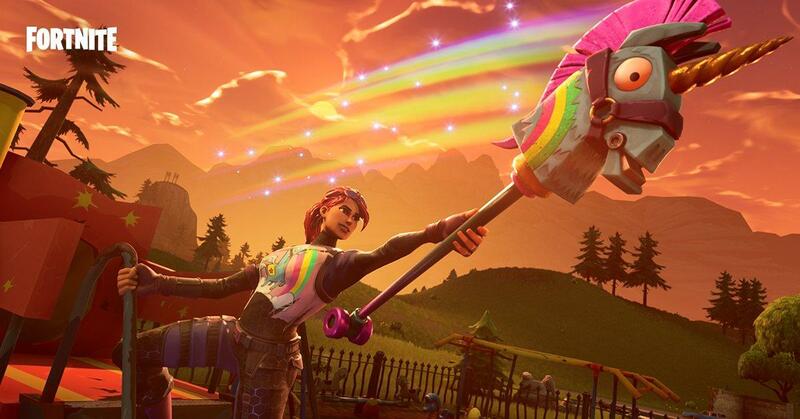 There’s a real incentive for both parties to ensure Fortnite runs as well as possible on the Nintendo Switch hardware: Nintendo wants to show that devs could efficiently port their games to the Switch, and it’s eager, previously unreachable audience, without hassle or breaking the bank, and Epic Games wants to show off the flexibility their engine offers to developers of all sizes, allowing for easy development on multiple platforms, including the new Nintendo system that’s selling like crazy. More importantly though, the Switch has sticks, buttons, and precision gyroscope capability. Portability is worthless if the game doesn’t have good controls, and fast paced 3D shooters will never have good controls with a pure touch control interface. Not only that, but the Switch is the only platform that can even come close to competing with keyboard and mouse setups in cross-play. After playing a metric crapton of Splatoon 2, as well as seeing what high level players can do, I’d say gyro aiming is as far above twin sticks as twin sticks are above mobile touch controls, and if not for the occasional loss of tracking with excessive movement and need for re-centering, it would be on par with kb&m for shooters. Imagine the salt if Fortnite comes to Nintendo Switch with cross play, and the “casual” Switch players consistently perform better overall. The Nintendo Switch is on pace to outsell the Wii. Pokemon and Smash are about to crank the sales into overdrive. Switch owners are looking for third party support. There’s a dearth of high profile multiplayer shooters on Switch. Fortnite is the hottest console game in the world. Fortnite is finally portable, in a playable, competitive state. The gyro controls can enhance the game to a ridiculous degree, and if multi-console players start migrating to Switch, it could turn heads. If Fortnite can remain relevant (Don’t laugh, remember PUBG? ), this could be the biggest get for Nintendo since Pokemon. Of course, I could be reading this whole situation wrong, so feel free to sound off in the comments below and let me know what you think about Fortnite coming to Switch. Also, what Nintendo themed gear are you hoping for? I’m sure it’ll be something lame like a Mario hat, but I’d love a Breath of the Wild or Samus gunship inspired glider and Monado/Aegis themed pickaxes.